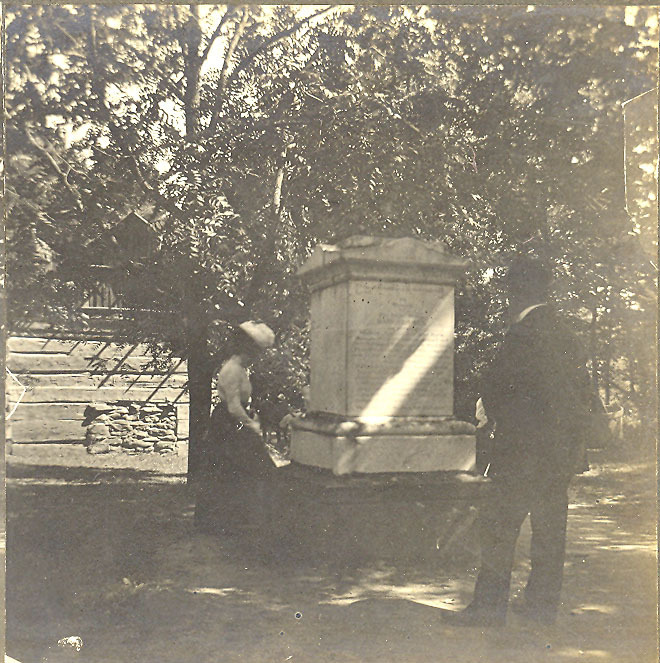 A couple pays their respect at the grave of Mary Jemison, the "White Woman of the Genesee," in this stereoview probably taken by an amateur photographer in the 1890s or very early 1900s. In the background is the famous Seneca Council House and in the larger image below you can catch a glimpse of other visitors on Mr. Letchworth's historic Council Grounds. 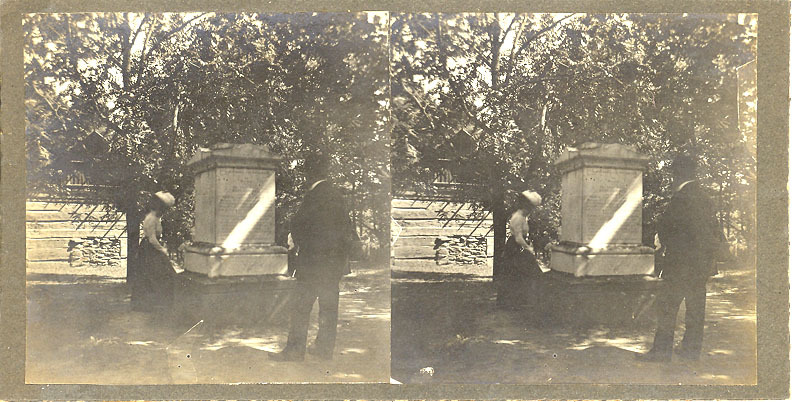 Just behind the woman in the stereoview is the black walnut tree planted by James Shongo, a grandson of Mary Jemison. It replaced the original tree that was planted by another grandson, "Buffalo" Tom Jemison in the 1870s. You can compare this with an image taken one or two decades earlier. The large tombstone was erected in the 1880s to replace the original gravestone that had been brought with Mary from the Buffalo Creek Mission grounds. That original marker is now displayed in the Park Museum. 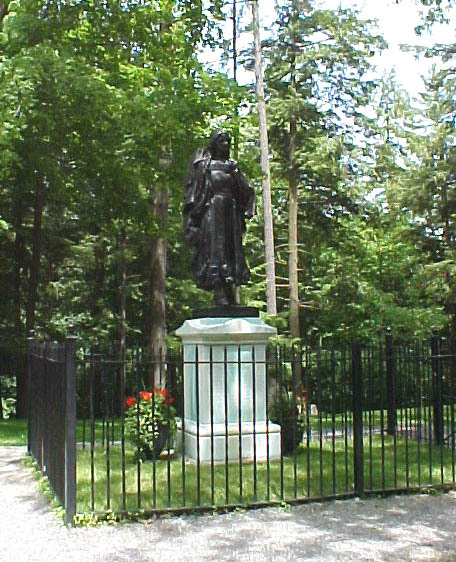 The monument became the base of the famous Jemison statue in 1910. The statue, shown to the right in this recent image, was professionally conserved during the Park's Centennial Celebration. The side shown in the photo below is facing left in the modern photograph.